"Texas Company Offers At-Home Cosmetic Procedures"
If you haven’t been able to make it to your nearest cosmetic surgeon’s office for a wrinkle treatment lately, you may be able to get your treatment at home. One of the leading cosmetic companies in Dallas, Texas has created a CosmeticCAReConcierge program that provides local residents with minimally invasive cosmetic procedures in the comfort and privacy of their home or office. Clients have the option to travel to the office if they wish, and meet with a qualified team of professionals to set up their consultation. 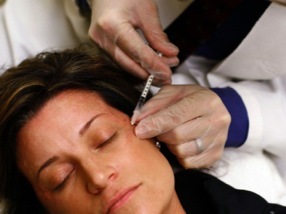 Procedures developed to make the skin look more youthful are called cosmetic procedures. The medical training these these professionals receive makes them uniquely qualified to evaluate the skin and determine which cosmetic procedures can safely and effectively diminish your signs of aging. How many times has the specialist performed the procedure? performed the procedure on numerous patients, they usually want others to know. While results depend largely on the skill and experience of the person performing the procedure, the condition of the patient’s skin as well as the patient’s age and health affect the cosmetic outcome. A dermatologist typically tells a patient what to expect after visually examining the skin and gathering a medical history. He/she also can tell the patient if the procedure will deliver the desired results and if it is appropriate for the patient. Tip: To help communicate the results you seek, find pictures to show what you want to look like. For example, if you want fuller, more youthful lips, find a photograph of the lips you desire. Photographs greatly help communicate expectations and break down communication barriers.